This is the first wine to display any appreciable amount of wood and even here it is quite subtle and easily allows the very Meursault nose of hazelnut, orchard fruit and soft floral scents to have center stage. There is a lovely freshness and vivacity to the cool and restrained middle weight flavors that exhibit plenty of minerality onto the clean, dry, balanced and solidly persistent finish. In a word, lovely. 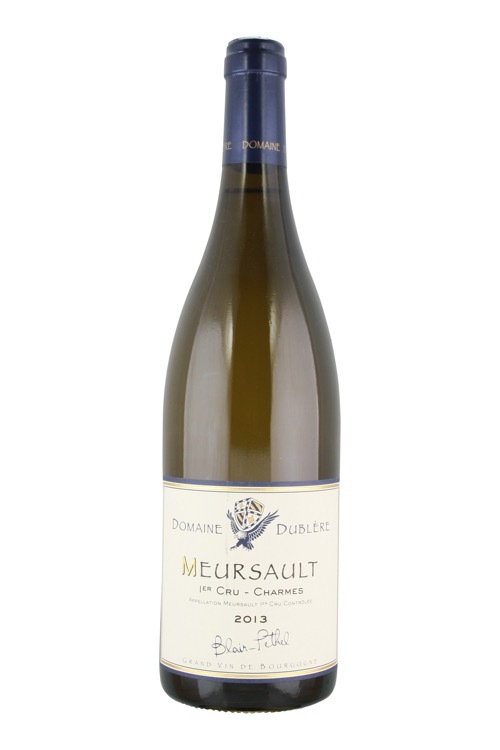 Traveling south from Beaune, Meursault is the first of the major white-wine-producing communes of the Cote de Beaune. As the third largest village in the Cote d’Or, in terms of area under vines, it produces more white wine than the other communes in the Cote de Beaune put together. While it has no grand cru vineyards, the quality of wine from the best premier crus, Les Perriers, Les Charmes, and Les Genevrieres, is unsurpassed. The village level vineyards - Narvaux, Clos de la Barre and Les Crotots - are a few worth looking out for, offering good quality but at a significantly lower price. The lower water table in the village, as compared with Puligny, allows for deeper (therefore cooler) cellars, where producers can mature their wines in barrel longer. Some barrels even see a second winter before being racked and bottled. It is perhaps this combination of factors, the less humid, drier soil contributing to lower yields, and the extended maturation, that develops a richer style with a nuttier character compared to the more floral, stone fruits expressed in the wines of Puligny and Chassagne.